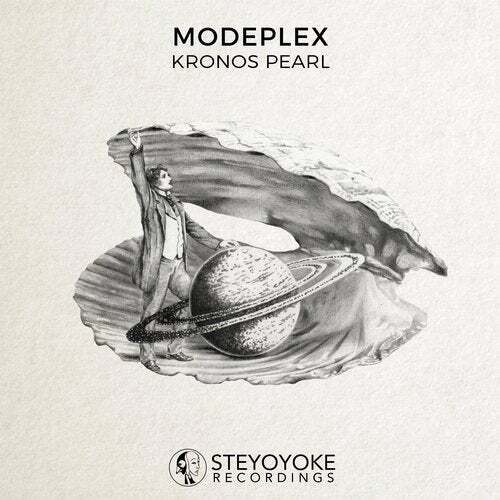 German producer Modeplex makes a strong entrance on Steyoyoke with his EP "Kronos Pearl", a determined and refined 3-track release. The first track, "Jupiter", wastes no time establishing the tone, pairing a heavy bassline with distinctive overlaid melodies. It's versatile, compelling, and makes claim to a place in any techno set. The title track, "Kronos Pearl", is a darker piece, combining heavy synths with more experimental sound effects. Driven forward by variations on a common melodic theme, the track fluctuates its focus between higher and lower elements before leading us steadily on to the next track in the EP. "Hourglass" shows another, more experimental side to the producer – the track follows a pattern of sections that have a layered build and release, falling away to quieter, pared-back interludes. It makes great use of the shifting of moods over time, as each section adds something new whilst pushing and stretching themes that have gone before. This is an impressive debut on Steyoyoke for Modeplex, showing their versatility not only musically but conceptually. These tracks are strong pieces in their own right, and together show that there is a lot more to come from this producer.